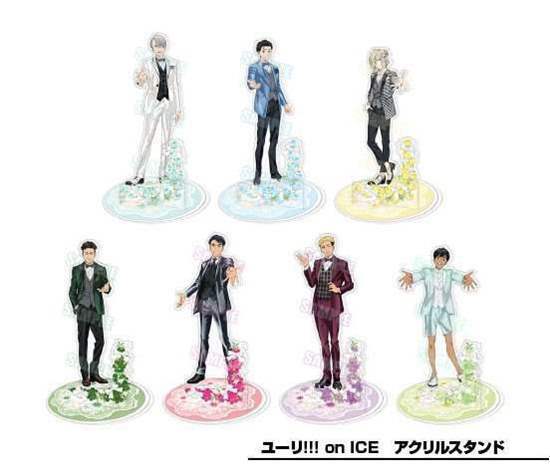 Popular Japanese wedding tuxedo company, with a WISH, has collaborated with Yuri!!! 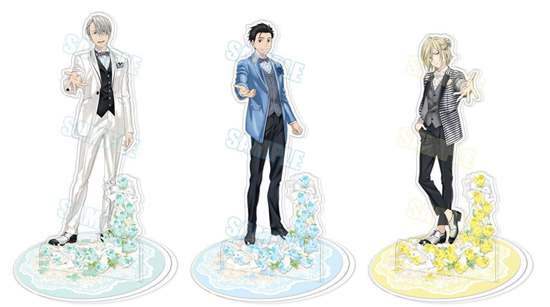 On Ice and will be making special acrylic stands featuring Victor, Yuri, and Yurio in their dapper suits! 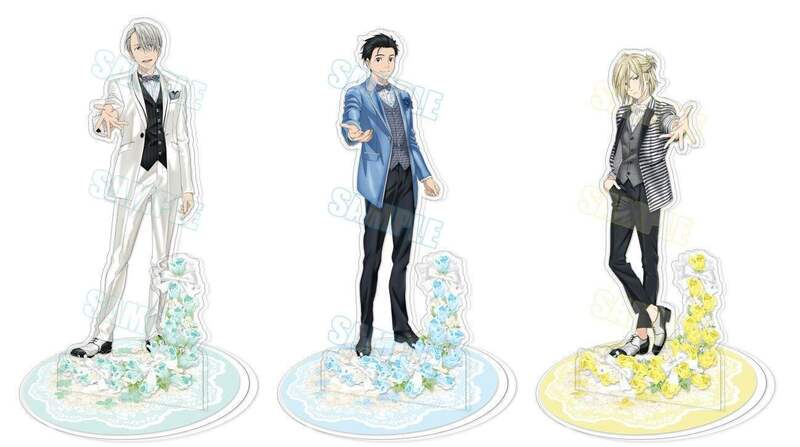 The acrylic stands are rather large in size to show the extra detail. This item's price is tentative, and should the price change after the item becomes available from other suppliers, we will reflect the price change and also offer a price adjustment to all previous orders SHOULD a price change come into effect. Yuri On Ice The Macaronz Figurine Keychains, available in Yuri, Victor, or Yurio!